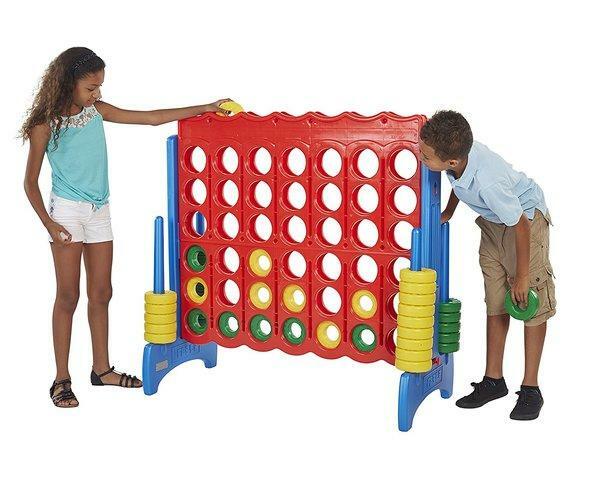 Life-size version of the classic game. Stands almost 4 foot tall. Young players build teamwork and cooperation skills while they learn to match four colored rings in a row to win. This interactive game is great for two players, and also works with teams for epic kids-vs-grown-ups championship matches. Recommended ages of 3 and up.